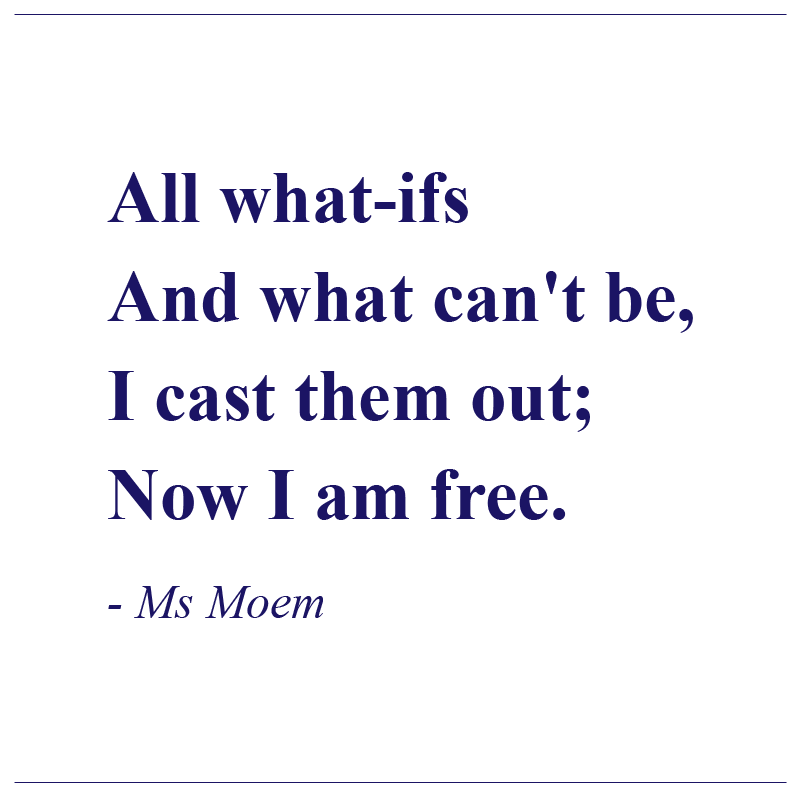 free Archives | Ms Moem | Poems. Life. Etc. What gives us a choice? Or use the gift our voice? Every decision is a fork in the road. From doing the things you choose. So what have we to lose. To let our dreams be made? To make bad times fade? What brings us to life? What allows us to see? It is that we are free. 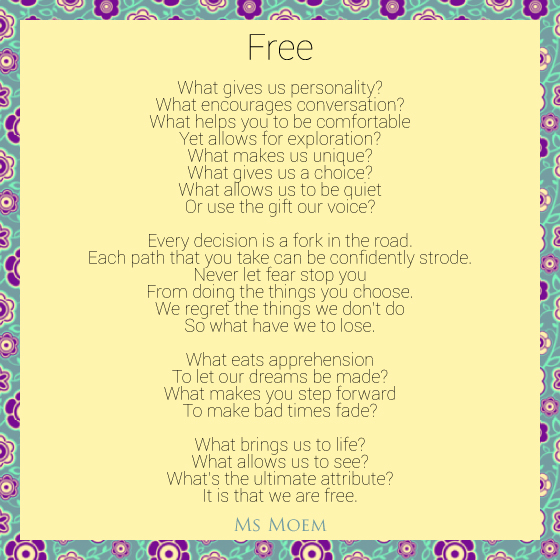 Free is a poem about life written by Ms Moem.